SPY VS. LIE: OUTING VALERIE PLAME AN ACT OF TREASON? “In January 2002 the CIA asked Joe Wilson, Valerie Plame’s husband, to travel to Niger to confirm the validity of a report of that Iraq had an agreement to purchase Uranium from Niger to be used by Saddam Hussein to manufacture nuclear weapons. Wilson traveled to Niger, met with the former Prime Minister who was the one approached by “an Iraqi businessman” who discussed strengthening trade agreements with Niger. Wilson researched the events and concluded there was nothing there and reported back to the Select Committee on Intelligence that the accusations of a sales agreement between Niger and Iraq was clearly false. However in January 2003, President George W Bush announced in his State of the Union address, the opposite, with these 16 immortal words; “The British government has learned that Saddam Hussein recently sought significant quantities of uranium from Africa“. Naturally Wilson was astounded that the President presented this information to the world as fact, even after Wilson had reported almost a year earlier to the Senate Select Intelligence Committee that the story was false. This bothered Wilson, and on July 6, 2003, Wilson wrote in a New York Times Op-Ed piece that Bush had misrepresented the intelligence and wrongly used it to help justify the 2003 invasion of Iraq. Although several committees including the Butler Report, the Senate Intelligence Commission and the Senate Select Committee on intelligence at various times attempted to disprove Wilson’s conclusions, none were ever able to produce any solid evidence to validate the claims that a sales agreement for Yellow Cake existed between Iraq and Niger, or that it was ever discussed with the former Prime Minister of Niger, Ibrahim Hassane Mayaki. In fact the US State Dept agreed with Wilson, as did the CIA, that the claims were false and thus discredited. Eight days after writing his Op Ed piece reprimanding the White House for using the discredited information, his wife, and covert CIA operative, Valerie Elise Plame Wilson, was outed as a CIA Covert Operative, in a column in the New York Times titled, “Mission to Niger”. COMMENT: Was she “outed” out of spite or was it just a wayward, random mistake? This is one of the most despicable acts of treason ever perpetrated against an honorable and decent citizen. Heads need to roll over this outrage, but we know they never will. This is without doubt the most corrupt, immoral administration we have ever witnessed. I pray that Hillary will restore the decency and honor to the office of the President, as her husband displayed so wonderfully. And did I mention IMPEACHMENT!! 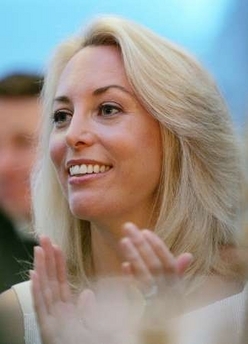 Valerie Plame is simply too good looking to be a spy. How did she “blend in?” I smell a rat. Bush bashers set this one up from day one as a fake scandal. Yet another example of the arrogance of this bunch of goons in the White House. To endanger a member of your intelligence community for political payback is pure hatred. Thanks for posting this. You have a fascinating site. I’m going to look around. You did mention IMPEACHMENT and I agree 100%. It makes me want to puke to see the mistreatment of this great patriot.